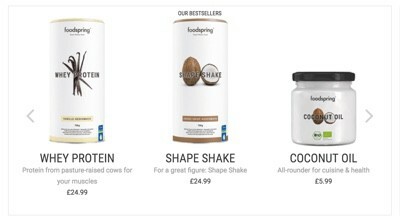 Foodspring – reviews. Is it reliable and safe in 2019? 2 What does the offer look like? 6 Is it worth taking advantage of this offer? Healthy food is definitely all the rage today. The public’s growing awareness regarding the widespread presence of chemical additives in food products makes us constantly look for opportunities to use products of natural origin, grown in accordance with old traditions. However, not everyone has the time to prepare healthy meals on a daily basis, and in such cases it will certainly be helpful to purchase ready-made kits. The offer of the Foodspring company clearly stands out in this respect, and we will now examine it at a bit closer. As we can learn from the official website, the main goal of this brand was to provide customers with food products not only from reputable sources, but also containing as many valuable nutrients as possible. The constant pursuit of these goals is now clearly visible. The company, which has been in existence since 2013, offers a lot of ready-to-eat products on its website; they can be easily adapted to your needs. We will find here very cleverly arranged product categories. Thus, it is easy to find, as an example, products intended for morning or evening meals, for people building muscle mass, for consuming after training, for individuals who are lactose- or gluten-intolerant, and much, much more. What does the offer look like? healthy and valuable snacks to have a bite between meals. People who do intense workout in the gym, who want to speed up the muscle building process in a safe, natural and effective way, will find many interesting offers. Some examples would include protein bars, bread or protein pancakes, creatine powder or capsules, as well as ready-made packages with various products. Weight loss fans will find goji berries, fruit muesli with soy flakes, vegetable protein products or, as in the previous case, entire packages with various products to optimize one’s daily diet. Snacking aficionados will see among the products healthy pancakes, natural coconut oil, various kinds of healthy teas, protein sets, coconut or apple chips and a true variety of other interesting products. A very convenient solution, available on the website of this online store, is the accurate categorization of food products according to their properties. In this way, one can easily get a full list of vegan, bio or even gluten-free products. The list contains as many as seven such categories, which we will now try to briefly describe. In this category we will find exclusively products of vegetable origin, which, when included in the daily diet, can assure very good health and great mood. Vegan food primarily provides a lot of protein, which is very useful in the case of people intensely engaged in sports. In this case, we are simply dealing with food which was prepared exclusively from organic products, grown in accordance with traditions, without using hazardous chemicals. The big advantage of this offer is that the shop specializes in the sale of certified bio food. Carbohydrates are a very important source of energy for our body, but unfortunately they make it difficult to maintain a good figure. The products available in this category are, first of all, carbohydrate substitutes; they provide the right dose of energy which has no negative impact on the deposition of fat under the skin. The increasingly popular Paleo diet will be easier to implement thanks to the food in this category. The store guarantees that it retains the idea of preparing food exclusively from products of natural origin, which are obtained exactly as they were many centuries ago. This is what this type of diet is based on. This is a special category for all individuals who are allergic to lactose or who simply introduce this type of limitation in their diet. The company guarantees in this case that healthy and safe food is prepared by the best ecotrophologists. This whole category is devoted exclusively to products without gluten, which many people may be allergic to. According to the company’s claims, natural products, very often of bio-origin, are to deliver the right dose of energy to the body, as well as all the nutrients necessary for its proper functioning. The final category on the list is products intended for people who want to eliminate soy from their diet. You can find in it a large selection of fitness foods that are healthy and at the same time as valuable as products prepared on the basis of soy. Unfortunately, as everybody is certainly aware, healthy and organic food often costs a lot of money. Choosing the Foodspring store’s offer, however, turns out to be attractive not only because we have a lot of food products here, but also because of the presence of interesting food packages. Regularly updated offer gives you the opportunity to order large packages of the same food at once, with the guarantee of a much lower price. 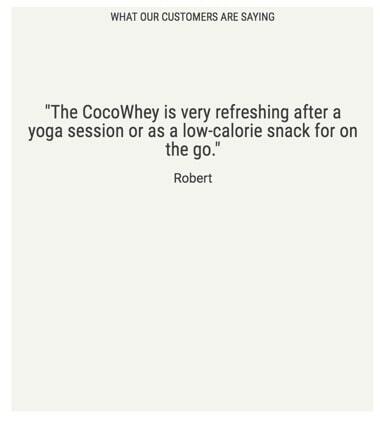 As a result, we can order a set of 12 protein bars at a reduced unit price, several packages of fruit muesli, whey protein and many other products. However, even if we are not looking for the possibility of a “wholesale” purchase of organic food, it does not mean that taking advantage of this offer will no longer be profitable. It is worth remembering that this is an online store with a very large reach and many years of experience. As a result, really attractive prices are available even while shopping at the retail level, for just one unit of a product. In many cases, they are much lower than in brick-and-mortar stores, and the shipping cost should not be a serious burden on our wallet. Is it worth taking advantage of this offer? 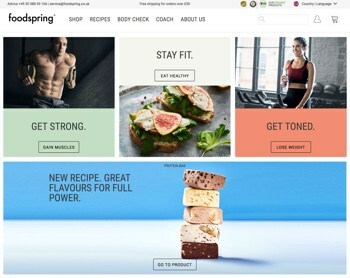 The Foodspring online store is definitely a good shopping option for healthy, organic food devotees. It is also an ideal place for those who want to achieve excellent results in sports, effectively lose weight or keep their beautiful figure. Even without thorough knowledge of the nutrition principles, here you can compose your meals in a fairly simple way. The company provides many guarantees regarding the high quality of its products, and on the website there are also plenty of recipes available – at no charge at all. With their help, you can easily diversify your daily diet. © Heltio.com 2019 All rights reserved.